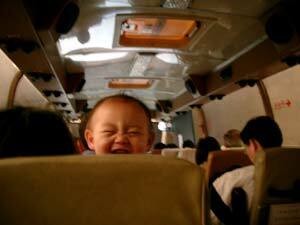 Some of my best and worst experiences traveling through the "developing world" have been on buses. From 32 hours of tedium in Argentina to a day of sheer adventure in Peru, from tourist-packed coaches in Thailand to views of rice fields and tarantula-kabob roadside snacks in Cambodia, a traveler can get a real feel for a culture by taking public transportation. All it takes is striking up a friendly conversation with the mothers and babies, the kids going to work, the tired fathers or the enthusiastic salesmen and women aboard, hawking everything from Dixie cups of Jell-O to miracle cures. However, with locals squished around you on the inside of a bus and belongings piled high… it’s easy to get separated from your bags. And it’s easy for them (or things inside them) to go missing. 2.) If you take a smaller bag on the bus, put it on your lap and hug it the whole time. Don’t put it on the floor or in the upper luggage bins. If you must put it on the floor, put your feet on top of it. 3.) When the money collector comes around, watch how much the locals are paying for their tickets. He’s likely to ask you for more. Stick to your guns and tell him you’re paying what everyone else pays. Another good way to avoid friction in this situation is to simply give him the sum everyone else paid without saying a word. Make sure you’re also getting the right ticket from him. 4.) 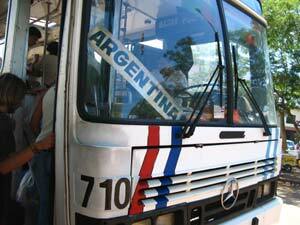 Check guidebooks and ask your hotel or hostel how much a bus trip should cost before leaving. Then you can make sure the price is right before you get on the bus. 5.) Don’t eat any meat people are selling on the bus. Sure, it smells good. Just don’t do it. 6.) Feel free to chat with the locals. Ask them about their favorite sights and foods in their country, how many kids they have, what they do, etc. Locals can be a golden resource when it comes to finding those hidden pieces of paradise pleasantly devoid of tourists. Most people I’ve met along the way have been genuinely helpful and despised the way one thief could scare valuable tourists away from their otherwise welcoming and fascinating cultures. You shouldn’t assume everyone will steal from you, but do be aware of your belongings wherever you go… especially in hostels with other tourists around.